There are many experimental situations in which the experimental runs cannot be carried out under homogeneous conditions. 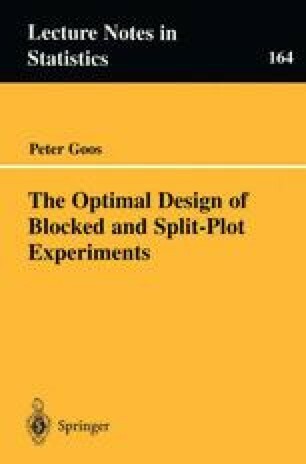 For a more powerful analysis in these cases, the experiment is blocked so that each block is a homogeneous set of experimental units. In this chapter, it is assumed that the blocks are random and, hence, that the observations belonging to the same block are correlated.